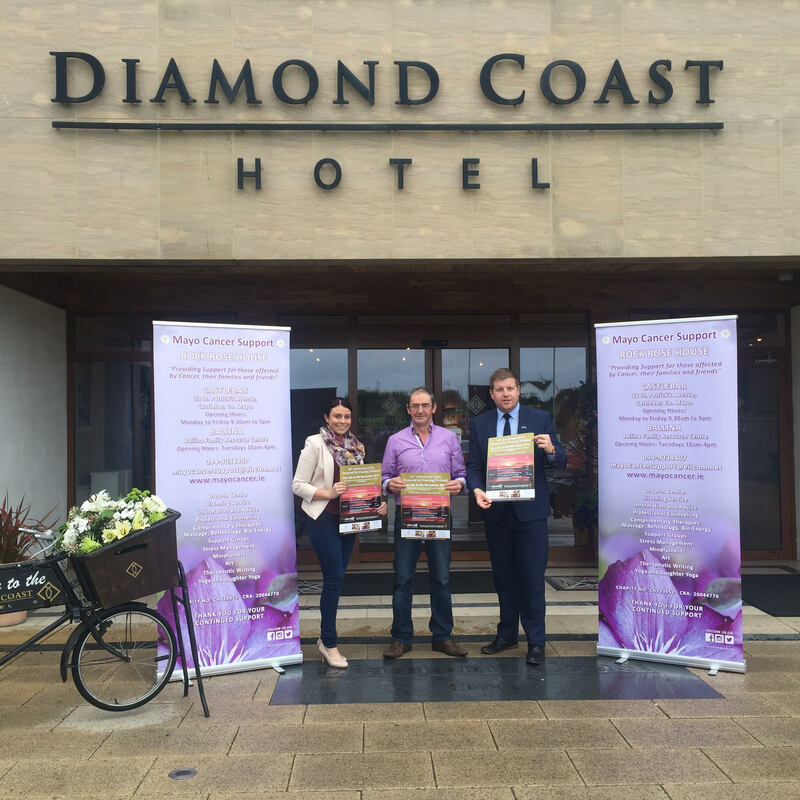 The very popular Annual Diamond Set Dancing Weekend, organised by Oliver Fleming, runs from Friday 3rd November to Sunday 5th in the Diamond Coast Hotel, Enniscrone. Pictured at the launch are Trisha Greavy, General Manager, Rock Rose House, Oliver Fleming, event organiser, and Thomas Lynn from the Diamond Coast Hotel. 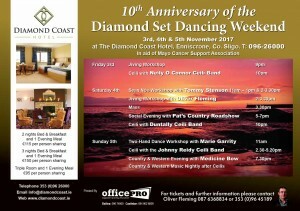 As usual there is a great line up of Workshops, Ceilis and Country & Western music to suit all tastes. 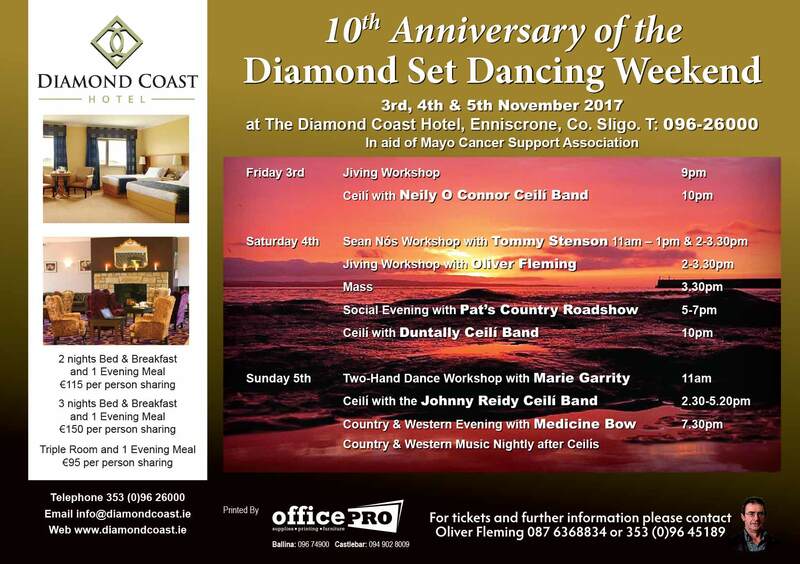 All funds raised go to Mayo Cancer Support Association, Castlebar and Ballina.